Download "ACADEMIC AFFAIRS COUNCIL ******************************************************************************"
1 ACADEMIC AFFAIRS COUNCIL AGENDA ITEM: 4.A (1) (c) DATE: June 19, 2013 ****************************************************************************** SUBJECT: New Program: DSU Minor in Web Development Dakota State University has submitted a proposal for a baccalaureate minor in Web Development. The University has related majors in Information Systems, Computer Game Design, Computer Science, and Computer and Network Security. 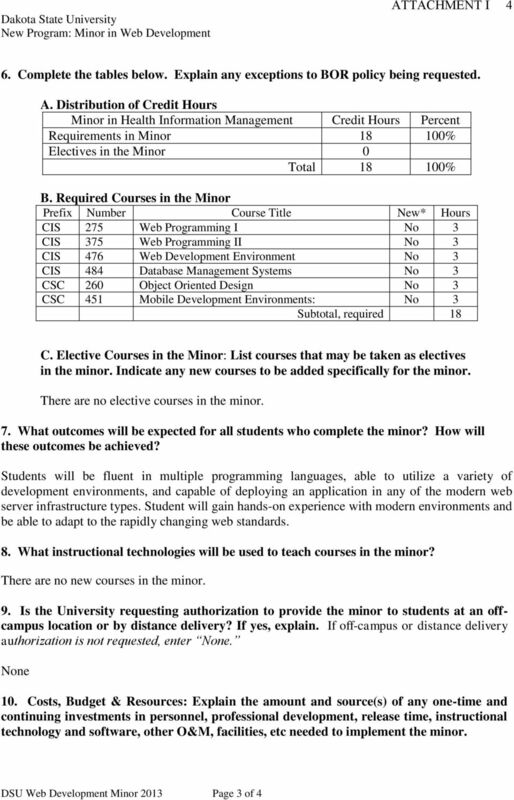 The proposed minor requires 18 credit hours. 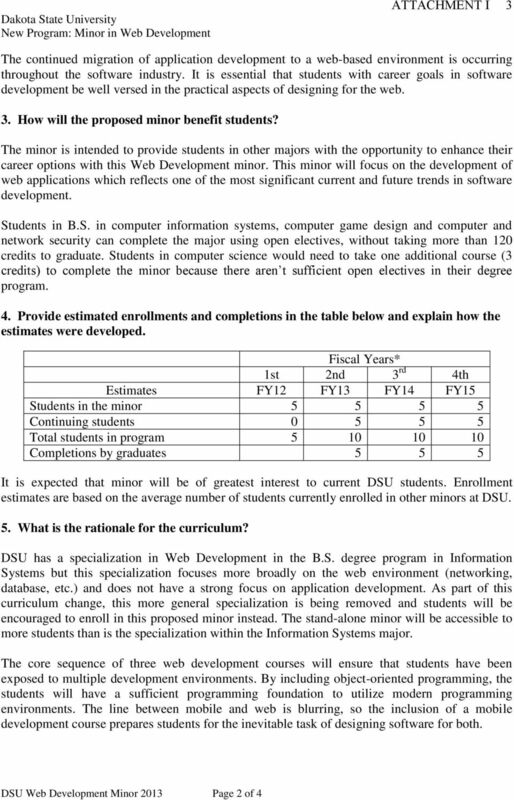 DSU notes that the migration of application development to a web-based environment is occurring throughout the software industry. 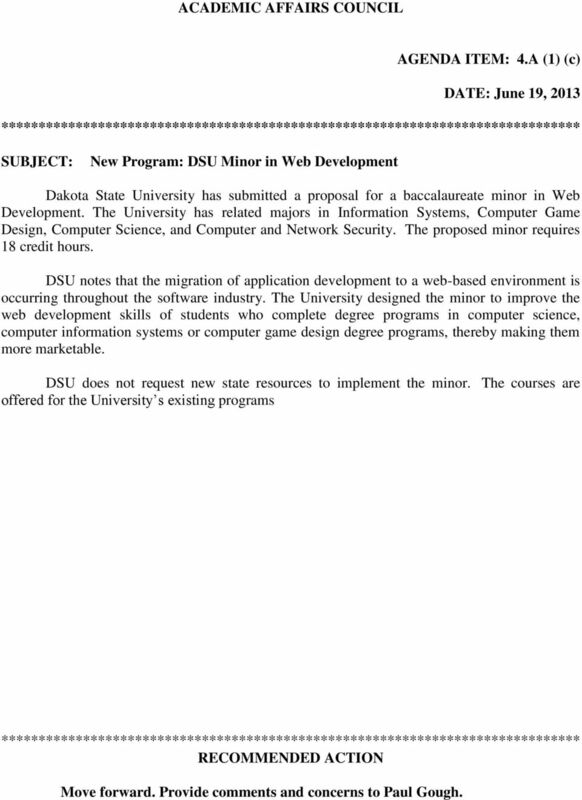 The University designed the minor to improve the web development skills of students who complete degree programs in computer science, computer information systems or computer game design degree programs, thereby making them more marketable. 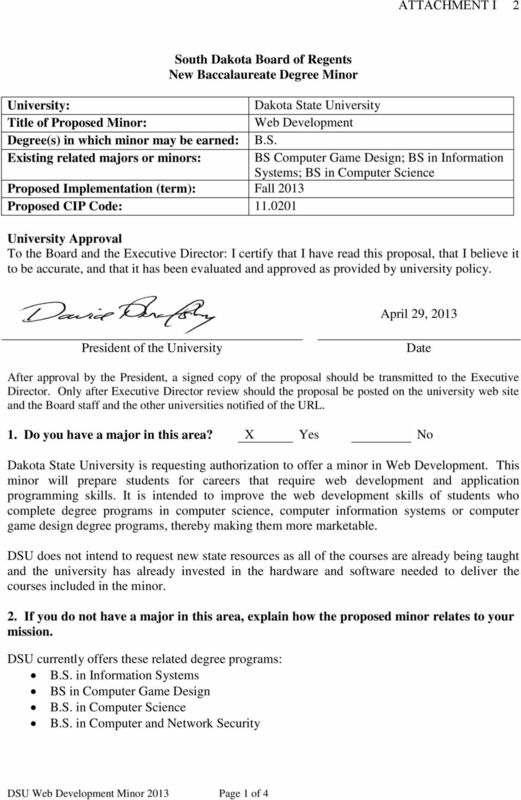 DSU does not request new state resources to implement the minor. 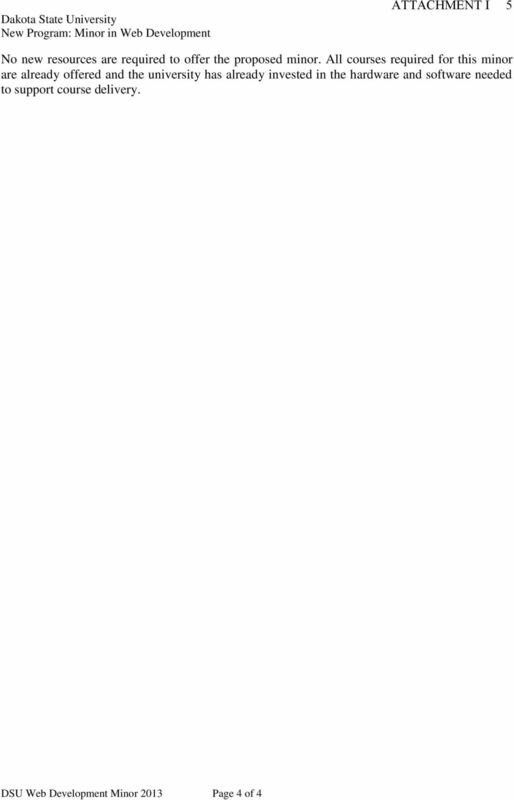 The courses are offered for the University s existing programs ****************************************************************************** RECOMMENDED ACTION Move forward. Provide comments and concerns to Paul Gough. SOUTH DAKOTA BOARD OF REGENTS Full Board AGENDA ITEM: BB 4 DATE: December 15-16, 2011 ******************************************************************************* SUBJECT: New Site Request: SDSU B.S.